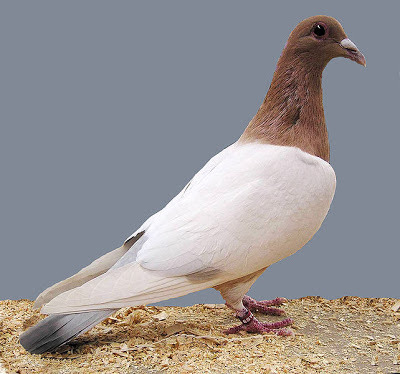 The finest bird among all the pigeon breeds having silky effect. 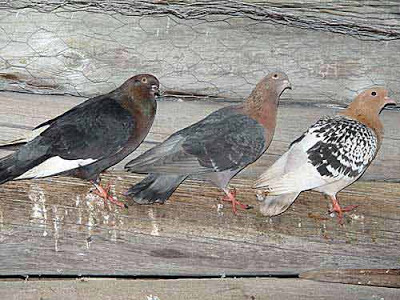 These Birds have dull golden yellow color starting from head and runs down towards breast. 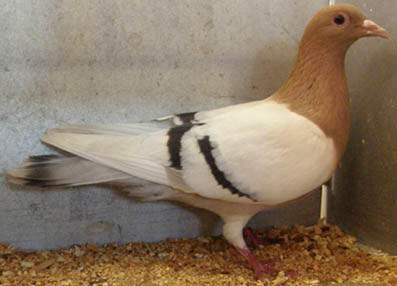 Wings are chequered or sometimes plain very light grey in color. Chequered wings are a combination of white and black color, beautifully arranged in an evenly order. Plain wings have diluted grey color and sometimes a bar is also seen. The long feathers of wings are white in color. Eyes are black and have red ring around it. The Tail is light grey in color. The lower body is also diluted grey in color. 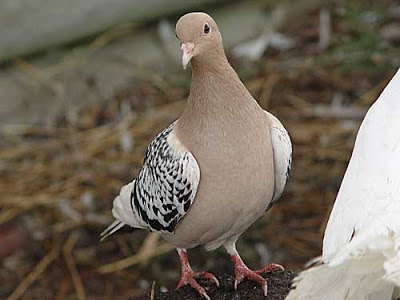 The legs are plain and have a long beak. 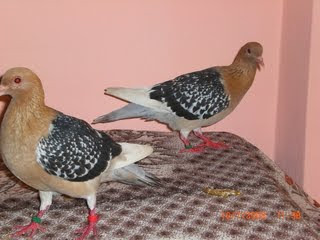 These birds are excellent parents, an active breed, will become tame but do not like to be being handled.